Back-flow assemblies and devices have parts that can break down and wear out, just like the parts on your car. By having your back-flow tested annually, you help to ensure the drinking water supplied to your home or place of business remains safe. 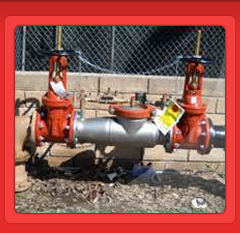 At PROFIRE PROTECTION we have certified back-flow assembly testers on staff, who have attended a rigorous training program and are certified by the TCEQ to inspect, test and repair all back-flow assemblies and devices. 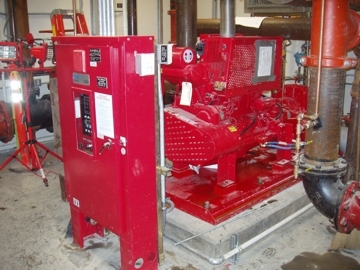 A fire pump is commonly used where water pressure is low. It's also used in multi-level buildings and large warehouses. 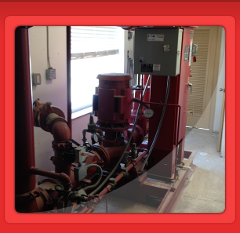 The pump is used to supply the necessary pressure for the sprinkler head to go off and fight the fire. 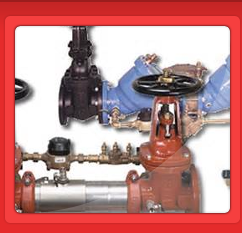 This makes the pump a vital component of the sprinkler system. 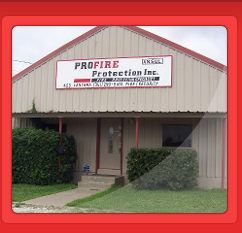 This is why PROFIRE PROTECTION will inspect, service, test, install and if necessary, replace it. We will confirm that the fire pump is fully operational.